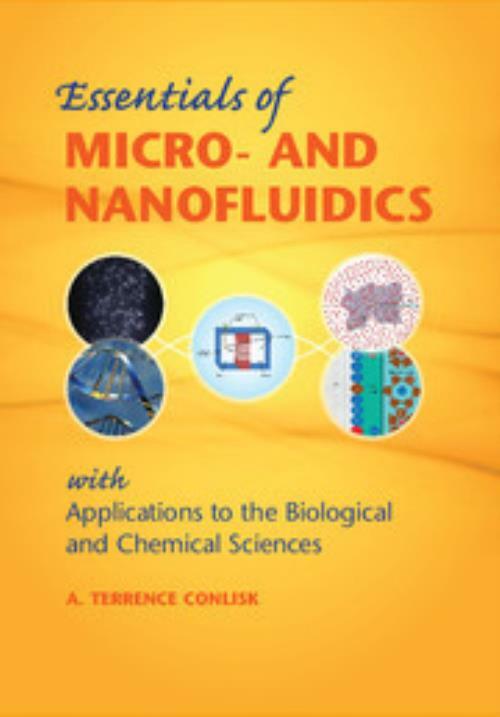 This textbook introduces students to the basic physical principles to analyse fluid flow in micro- and nano-size devices. This is the first book that unifies the thermal sciences with electrostatics and electrokinetics and colloid science; electrochemistry; and molecular biology. Key concepts and principles are discussed, such as the essentials of viscous flows, introductory electrochemistry, heat and mass transfer phenomena, elements of molecular and cell biology and much more. State-of-the-art analytical and computational approaches to problems in all of these areas are presented, especially electrokinetic flows, and examples are given of the use of these approaches to design devices used for rapid molecular analysis, biochemical sensing, drug delivery, DNA analysis, the design of an artificial kidney and other transport phenomena. There are exercise problems and modern examples of applications, as well as a solutions manual available for qualified instructors. 12. Applications; Appendix 1: matched asymptotic expansions; Appendix 2: vector operations in curvilinear coordinates. A. Terrence Conlisk Ohio State University. A. T. 'Terry' Conlisk, Jr is a Professor of Mechanical and Aerospace Engineering at Ohio State University. He is an internationally recognized expert in the areas of micro- and nanofluidics, helicopter aerodynamics and complex flows driven by vortices. He is the author of numerous publications and hundreds of technical presentations and seminars delivered throughout the world. After his PhD thesis (Purdue University, 1978) on the prediction of the fluid dynamics and separation of isotopes in a gas centrifuge, he began his work on various aspects of the dynamics of two- and three-dimensional vortices, with the focus on helicopter aerodynamics. Since 1999 he has been involved in modeling ionic and biomolecular transport through micro- and nanochannels for the design of devices used for rapid molecular analysis, sensing, drug delivery and other applications. Professor Conlisk's wide spectrum of research interests makes him uniquely qualified to write on the thoroughly interdisciplinary fields of micro- and nanofluidics.